Some things just need to be said. 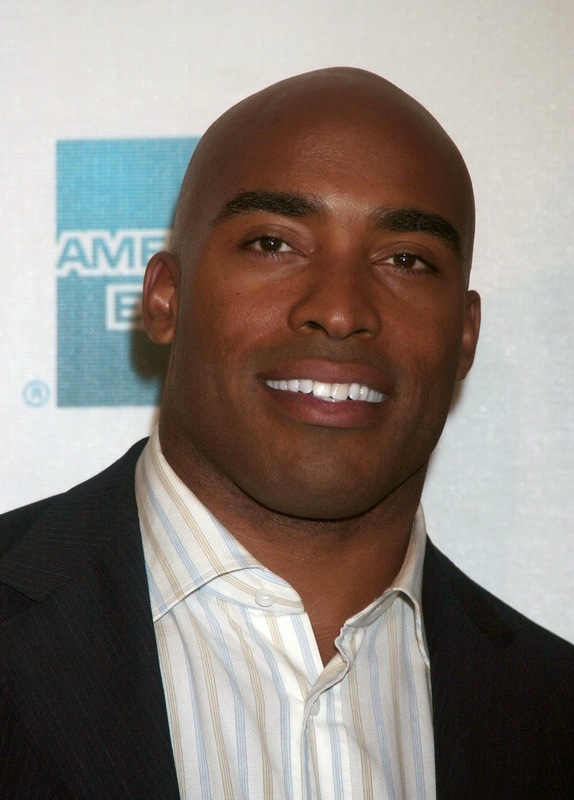 Tiki Barber is returning to the NFL after what has been almost four years since he retired. 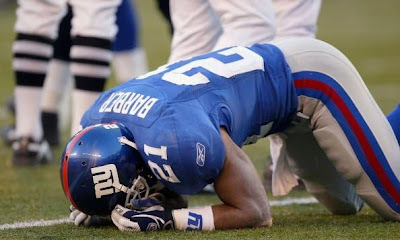 At 35 years old, the former New York Giants running back has decided to give it another try. Is it his passion to play the game he loves so much that's bringing him back? Is it the camaraderie of his team mates that he misses so badly? Then why would a 35 year old man consider coming back to play running back in the game of football? Yep. The former starting NFL RB and NBC correspondent is broker than a stopwatch in Professor Klump's back pocket. The man who earned over $28,000,000 in his NFL career and another $300,000 per year at NBC is now tapped out. He quit - Tiki was frustrated with his coach (Tom Coughlin) and his quarterback (Eli Manning). He didn't think the team was moving in the right direction and in the middle of the season, announced that he was retiring. It would later prove to be a huge distraction to the team. Most people speculate that he should have waited until the end of the year to announce retirement. When the season ended, Tiki left the team and his remaining two year contract totalling $8.5 million dollars. He bad-mouthed his team - After leaving the NYG and getting a job at NBC reporting on football, Tiki let his former team have it. Mr. Microphone said Coughlin "stripped his desire to continue to play with his coaching style." He also insulted Manning stating he wasn't a leader and would never win anything. That very next year, the Giants and Manning pulled off one of the most stunning Super Bowl upset victories in almost 40 years. A championship for the people Tiki broke his neck to insult regularly on the air. And they did it without him. Guess who had to interview Eli after the Super Bowl? Poetic justice at its finest! Eli even took a shot at Tiki with the following quote: "We had the right guys playing that we could make it work." Although Tiki held the mic and kept smiling, you could almost see the blood dripping from Tiki's lip as he bit it. He cheated - Here's where the bank account starts to drain. Tiki already had two kids with his wife, Ginny of 11 years, and twins on the way as she was eight months pregnant. He decides to dump her a few weeks before child birth and leave her for a 23-year old intern at NBC named Traci Lynn Johnson (she was also the babysitter -- how convenient!). Traci was with him in Vancouver during the '08 Summer Olympics and was introduced to everyone as "his assistant." Yeah, right. Tiki fumbled away his marriage and was stopped, once again, short of the goal line when his ex-wife denied him entry into the delivery room for the birth of his twins. Ouch. Let's see what your kids have to say in 20 years about you, sir. He sucked in front of a camera - The Tikster wasn't that great on the mic. NBC shifted him from the studio to sideline reporter in very little time. He also made a few appearances in '08 Olympic coverage, but he made a huge mistake that kind of sealed the deal on his already declining popularity: he tried to say “total medal count” and left out the "o" in "count." Tiki admitted he was broke in the summer of last year. With alimony payments and child support on four kids (get him, Ginny! ), Barber's funds are leaving his bank account quicker than fans can leave the arena at a Jackson 4 reunion tour. Hence his come back to the game. Barber hired 5WPR, a public relations firm, to help change the perception of his affair with Johnson and get his image back. They will probably have to drain whatever is left in his piggy bank to fix his image. Being on the biggest media stage in the city of New York and dissing their coach and QB won't be easily forgotten. Neither will leaving your ex-wife in the stirrups delivering your twins while you're "bumping uglies" with the young, hot, blond babysitter / "assistant." If he is fortunate, then some team will pick him up and give him a veteran minimum salary of $800,000 or something. He may even get to play a year or two if he's lucky. The only downside for him is that his twins will still need about 15 more years of child support to be paid after those two years are up. I wonder if UPS is hiring? Happy Job Hunting, "Tacky!" Pray that your mistress-turned-girlfriend doesn't dump you for a player with more money coming in than going out. Click the photo to learn how! The Troll-Free Three Is Set! Why Did I Receive This E-mail? Who Are You Calling "Psycho?" I Am Thundercat! Hear Me Roar! We Have A Winner for Play-In #1! Squatlo Rant v. Yeah. Good Times. 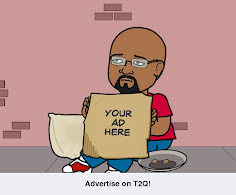 1st Annual Thank, Q for Bloggers Tourney! Is Jesus a God or Just Some Guy? Conversations With Mrs C: The Voice Of Palatability. Click the photo to learn more! Plus-Size Bikinis: Fair or Foul? DreamHost coupon. Awesome Inc. theme. Theme images by rajareddychadive. Powered by Blogger.